There is no doubt that San Francisco is an expensive place to visit. Luckily, some of my favorite things to do in the City by the Bay don’t require a lot of cash. 1. 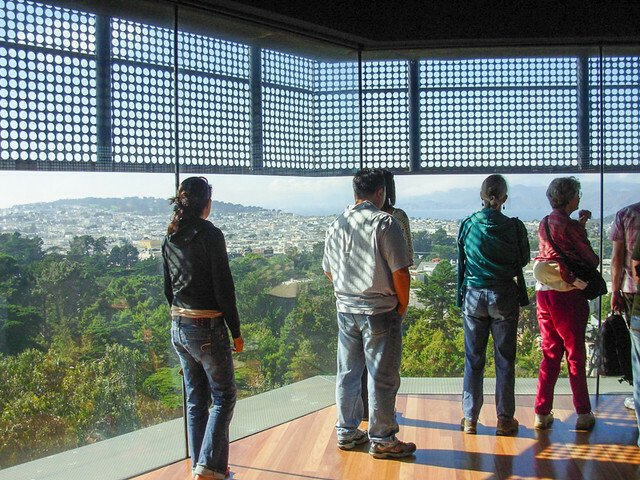 Get a free, panoramic view of the city from the top of the de Young Museum. While you do need to pay a standard entrance fee to visit this fine art museum, the elevator ride to the Hamon Tower Observation Deck is free. This 360 degree, glass-paned view deck offers a great look over the city’s rooftops, the Pacific Ocean, and the green expanses of Golden Gate Park. 2. Get outside to hike the stairs and catch more great views from the city’s many hills. Telegraph Hill, prominently topped by Coit Tower, is one of the most famous San Francisco urban hikes where it’s possible to ascend a series of sometimes rickety, wooden steps. Look for one of the hundreds of feral green parrots that live in the trees on this hill. The nonprofit organization Greenbelt Alliance regularly offers free group hikes. 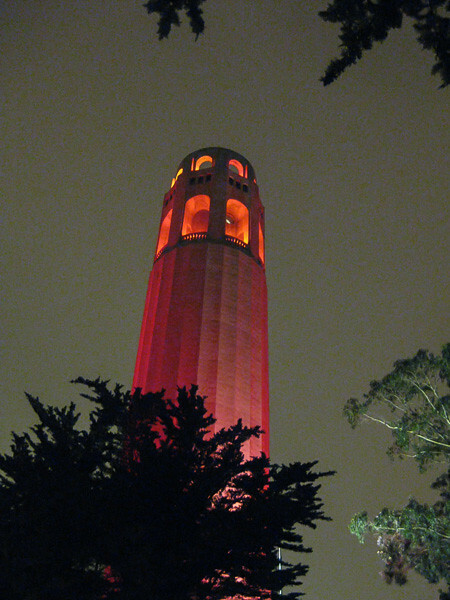 A few years ago on New Years Eve we did a night hike going up and down Telegraph Hill, Nob Hill, and Russian Hill, ending near the waterfront to watch the fireworks. 3. 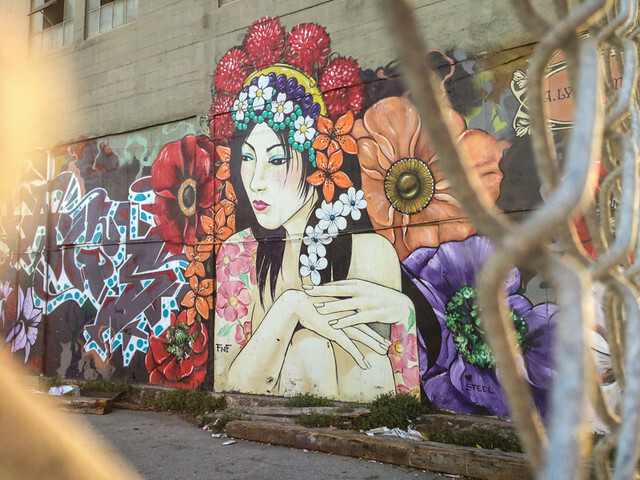 Wander the Mission District. Check out the colorful street art and explore this fast-changing but still diverse Mexican and Central American community. Get a burrito or tacos from one of the Mission’s famous taquerias. El Farolito and El Tonayense are my favorites. 4. 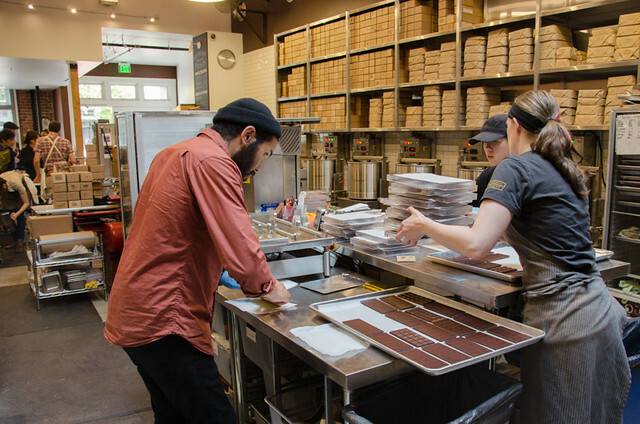 Taste delicious SF-made chocolates and get a tour of the Dandelion Chocolate Factory. While you are in the Mission, stop into the cafe owned by the bean-to-bar chocolate maker, Dandelion Chocolate (740 Valencia Street). You can sample a few of their chocolate bars for free in the front of the cafe and then sign up to take a free, thirty-minute tour of the factory. 5. Explore the secret parks (called “POPOS”) that downtown building owners don’t want you to find. 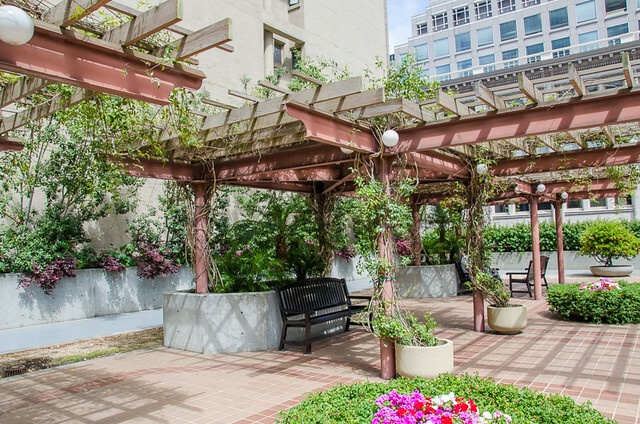 Due to a quirky zoning code, many downtown San Francisco buildings operate secret public parks, rooftop terraces, and gardens that are on private property but are open to the anyone in the city. These privately-owned public open spaces (“POPOS”) are sometimes difficult to find, but locating them makes a fun scavenger hunt and the chance to enjoy a picnic in the park, likely all by yourself. Click here to check out a Google Map of these parks or download a smartphone app. 6. 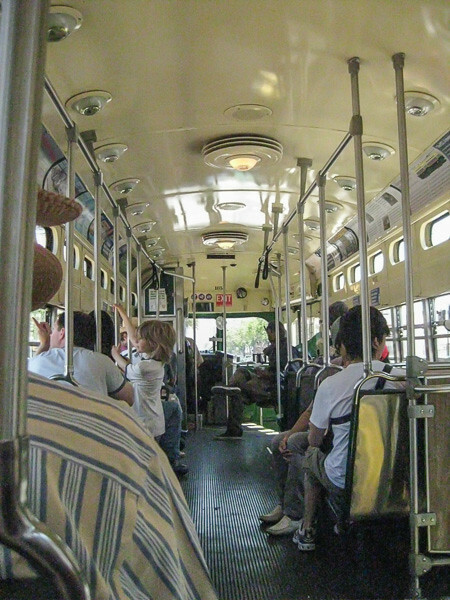 Skip the expensive cable car, ride the historic trolleys instead. The San Francisco Municipal Transportation agency (Muni) operates a number of beautifully restored vintage streetcars built from 1912 through the 1940’s. These cars run a scenic route (the F-Line) from Fisherman’s Wharf around the coast and up Market Street through Downtown. At only $2.00 per ride, this ride through history is a fraction of the cost of riding the cable car. 7. Peep through the fence to watch a San Francisco Giants Game. 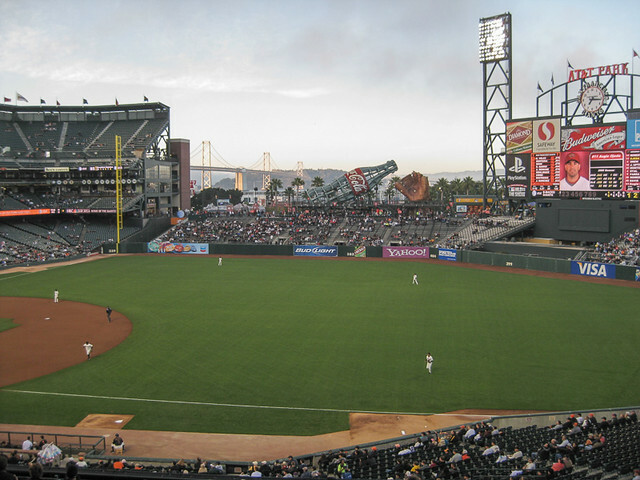 Walk along the waters of McCovey Cove (adjacent to AT&T Park) and watch up to three innings of a game through a fenced opening in the wall for free. Keep an eye out for fans in boats and kayaks in the water, holding fishing nets in the hope of collecting a home run ball. Looking for that perfect souvenir? Dive into the Bay and swim after one yourself! 8. 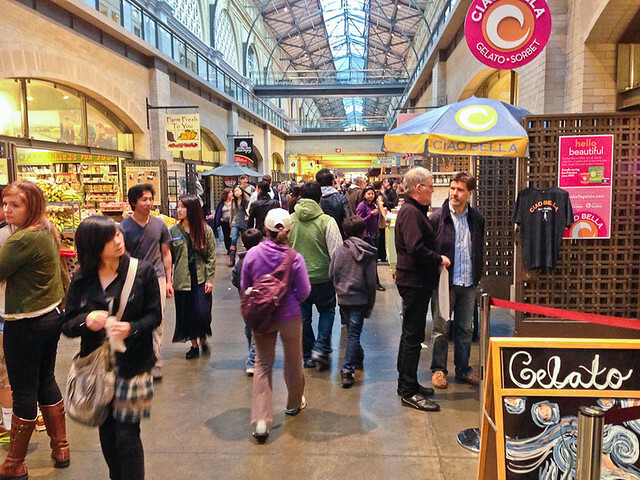 Explore the Ferry Building’s gourmet food stalls and get a free city walking tour. 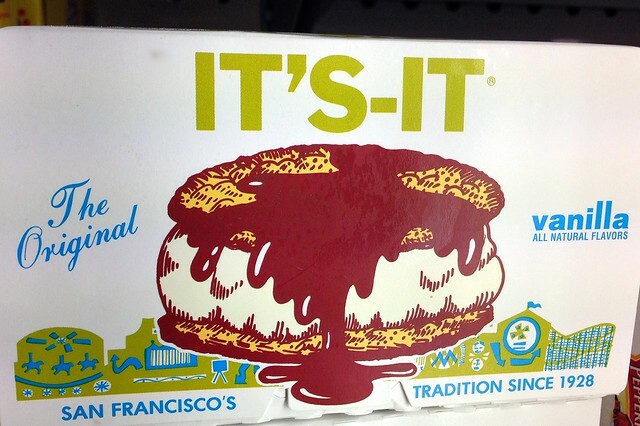 San Franciscans live for food, and this shopping center devoted to all that is delicious is the easiest way to experience the city’s foodie culture. For the full experience, go on Tuesday, Thursday, or Saturday mornings, when one of the city’s largest farmers markets is set up outside. During the Saturday and Tuesday markets, volunteers from San Francisco City Guides offer free walking tours of the Ferry Building. If you are an adventurous eater, stop in to the wild mushroom store, Far West Fungi, and buy an ice cream bar, naturally flavored with candy cap mushrooms — it sounds scary, but it is delicious and will remind you of maple syrup! Read more about the Ferry Building in this post: Finding Food Adventures at the San Francisco Ferry Building. 10. 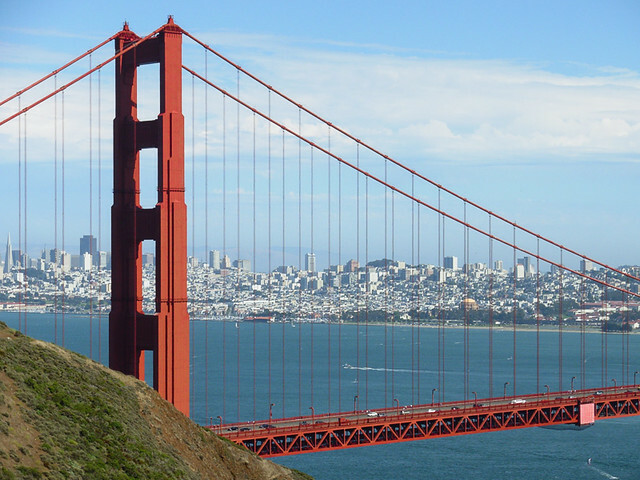 Get out of San Francisco (but not that far) for the best view of the city and the bridge. Cross over the Golden Gate Bridge into the Marin Headlands for the best view of the bridge and the city. The most radiant view is in the late afternoon when the setting sun shines on the face of the bridge. Even on foggy days (and there are a lot of them!) you can often catch an iconic shot of the bridge peeking out from beyond the thick fog. 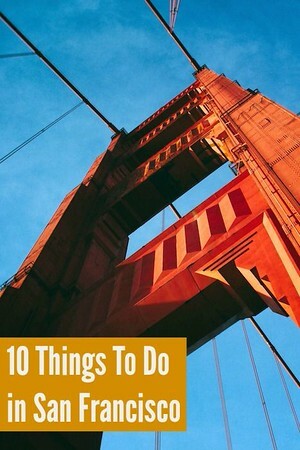 Don’t forget to pack a good San Francisco guidebook! This post originally appeared on Changes in Longitude. What are your favorite free or cheap things to do in San Francisco? « Our Next Stop: Japan!